Tumbbad becomes first Indian Film to open Venice Film Festival ever! Presented by Aanand L Rai and Eros International, Sohum Shah’s Tumbbad becomes the first ever Indian Film ever to open the prestigious Venice International Film Critic’s week, sweeping in major accolades from critics. Despite being based on the rooted Indian folktale, Tumbbad has managed to captivate the international audience with the intriguing tale and stunning visuals. The craft, scale, and technique used in the making of the critically acclaimed film has presented the world with India’s moment to shine. After content driven commercial films like Newton and Dangal making India proud worldwide, Tumbbad seems to take the same route with taking the nation’s glory globally. 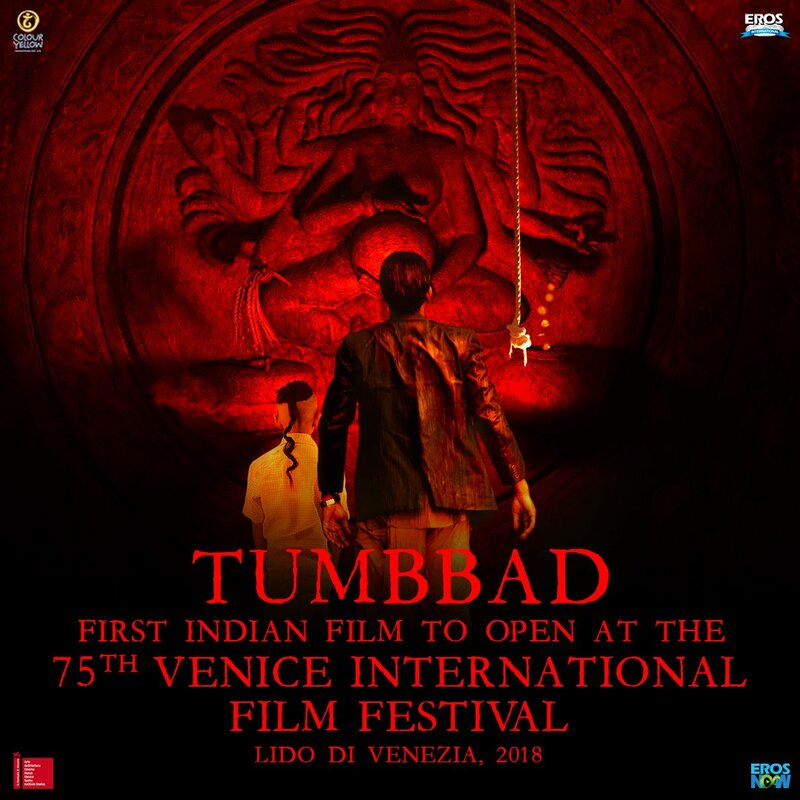 With the captivating story and visuals, Tumbbad has haunted the delegates on the Venice Film Critics’ Panel leaving a mark on them. Tumbbad is an Eros International and Aanand L Rai’s presentation and a Little Town Films production in association with Colour Yellow Productions. Co-produced by Film i Väst and Filmgate Films. Tumbbad is set to release on 12th October in Hindi, Marathi, Tamil and Telegu. 18 queries in 0.512 seconds.